There are 11 reviews of Black Gold. In Black Gold Ormonde Jayne delivers a luxurious spicy-woody, which takes the DNA of similar designer ‘masculines’ and transforms it into something way classier. Key to this transformation is the beautifully fresh presentation of materials. The spice, herbal and woody notes unfurl with the kind of immediacy that will be familiar to anyone who has chewed a pod of cardamom – that same release of essential oils and aromas that go so much further than mere flavour, like a miniature rocket destined to take one’s mouth and nose on a journey. This is Ormonde Man’s much more sophisticated relative, and it’s difficult not to be dazzled. Were it not for that ridiculous price tag, which seems designed to drive a stake through the heart of any thinking person’s enjoyment of it. The deep drydown has the characteristic Ormonde Jayne uber-smoothness, the signature Iso E Super doing its soft and cuddly best. This is an interesting fragrance, a better fit for a woman, to my nose. I'm happy to smell this kind of smell around, but it's not really for me as something to wear. I do smell the connection to Jubilation XXV, although this is a more feminine fragrance, a fruity floral, but backed with dark woods and/or resins somewhat similar to Jubilation XXV. Deep into the wearing, I got some great moments in the projection from the base. I was captivated when smelling the opening notes of this fragrance; it seemed sophisticated, unusual and obviously constructed with the very best materials. In fact, I was utterly fascinated by Black Gold's top notes which smell of exotic wood, oudy lacquer, nutmeg(? ), and some type of fruit, combined with juniper and sage and sparkling hints of citrus. This beginning was so enticing that I shocked to discover that the dry down--while apparently filled with amber and genuine sandalwood--was decidedly less fascinating. In fact, if I'm honest, I'd say it was horrifying. There is something in this scent's latter progression that reminds me of the woody dryness of a CdG scent combined with a dreaded note so sharp and piercing and (I'm sorry!) synthetic smelling that I was forced to take a bath after 2 hours of wearing this. There is elegance and real artistry at Black Gold's onset, but the latter stage (which goes on forever) reminds me of certain strident and highly artificial 'masculine' scents from the '90s. I'd give this a thumbs up for the opening and a thumbs down for the dry down. Every person who is interested in nosing a scent with a gazillion of ingredients that is put together to produce something so utterly beautifully buttered. NEEDS to sniff this. rounded, voluminous. Layered smoothly, luxuriously light, it is like an Italian dessert. Zabaglione flavoured with Orange and Aromatic liqueurs. It has me thinking "How was that done? The last time I've swooned was the first taste of Ferre by Ferre in it's opening of Adelhydes. majestically "The Empress has arrived"
The rest is just a Symphony of Purrrrr. Men can wear it, however, this was made for Goddesses. PS. At the very top of this, an Accord that reminds me of an extremely expensive Bath Oil. Is it the Ambrette? Black Gold is perfectly in line with the Ormonde Jayne house style, which is to say that it seems to be made up of hundreds of different layers of tulle and yet has the tensile density of velvet. It has to be said, Black Gold is every bit as stunning as its gold-plated billing makes it out to be. Even the most grudging of Basenoters were impressed. One spray is enough to know that you’re in the presence of something quite special indeed. The opening feels familiar, yet turbo-charged with something. The sherbet-like fizz of mandarin, lemon, and mandarin is intoxicating, and the touches of clary sage and juniper berry familiar to anyone who loves Tolu. Immediately after the initial “Ormonde Jayne” blaze of citrus, pepper, and herbs, the true character of the scent reveals itself; a confident duet between a particularly arid, aromatic sandalwood (one can almost visualize the reddish dust of felled heartwood in Mysore) and a hot, dusty carnation, these two accords whipping each other into a vortex of scent. The texture is key here, fuzzy and misty, like a cloud of aldehydes or dust particles whipped up by a storm or the pale, fine fizz on a glass of sparkling rosé. The quality of the sandalwood is indeed most excellent, displaying as it does the peculiar character split between dry and milky of real santalum album. Although there are no piney terpenes here, the hallmark of inferior santalum spicatum from Australia, the sandalwood used in this fragrance is not at all sweet or unctuously creamy. In fact, coupled with the herbs and the spicy carnation, something about it strikes me as gentlemanly, in the same way that the sandalwood in Santal Noble is. Later on, these same woods appear rubbed down by nuggets of creamy amber resin, their toffee-like sweetness filling out all the gaps in the wood and giving the scent a deep, velvety warmth. However, there is also a very dry, peppery oud note in the drydown, which brings the fragrance closer in feel to Ormonde Man than to Tolu, which was perhaps the direction in which Black Gold had been drifting. The oud adds a certain….something. It is not exactly animalic, but something a little dark and salty, tending towards carnal. This could be a touch of Ambroxan or real ambergris, or, of course, it could also simply be the listed oud coupled with the vegetal musk of ambrette. Either way, the ending is as shimmering and as translucent as the rest of the scent – it floats off the skin like cloud, never heavy or sullen. Worth the price? Most definitely. Personally, I’d buy it in a heartbeat if it was priced at the same level as the regular line, but it’s not within my budget and therefore I have no plans (or should that be ambitions?) to own it. But for those who can stretch to it, I’d say buy it – without reservation. There’s plenty of haute luxe perfumes around these days at that price level anyway, but an Ormonde Jayne is a classically-built Rolls Royce compared to a flashy Lamborghini, and therefore, for my money, as close to a sure bet as you can get. Solid, elegant, beautiful: those are the three words I’d pick to describe Black Gold. Ormonde Jayne Black Gold LIMITED EDTION parfum 5 mL sample AUTHENTIC USA SELLER! 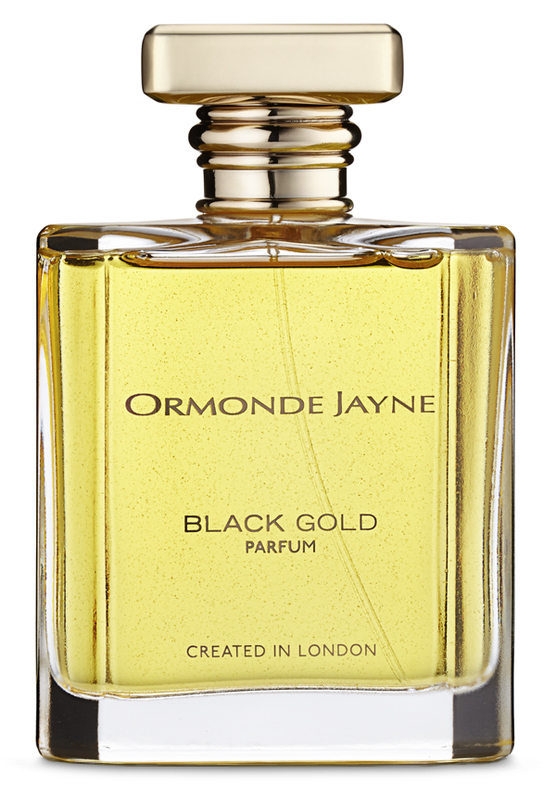 Ormonde Jayne - Black Gold. Is it worth it? Ormonde Jayne Black Gold now available online.